Students love this assignment! Great for subbing or fun Fridays! 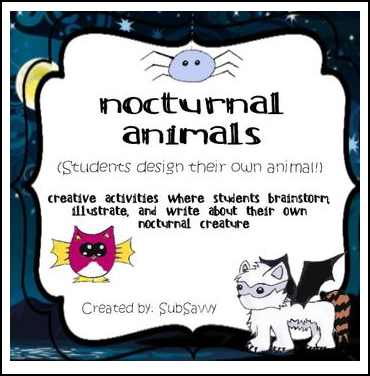 Includes educational information about nocturnal animals, a creative writing assignment, and a page for students to design and create nocturnal animal. Click Here For My Other "Create Your Own..." Products!